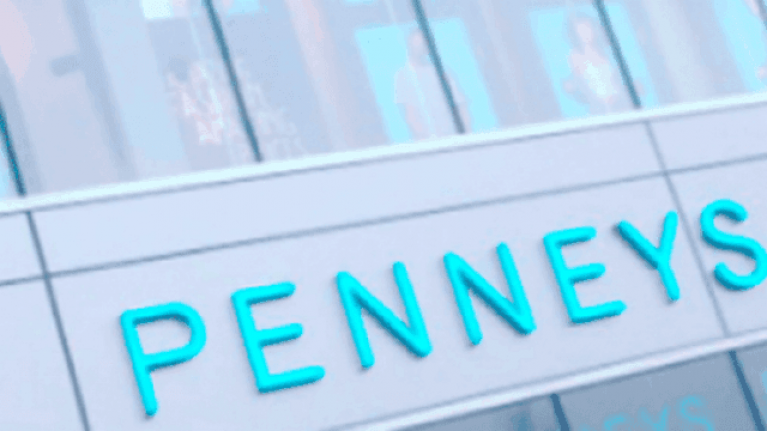 This €23 Penneys blazer is an absolute steal. Balmain blazers are regarded as iconic by fashion fans but there is one major downfall, the astronomically expensive price tag of €1500 and upwards. Given that the only time we'll be seeing them is in our dreams, we're all about finding a similar substitute and we've struck gold with the latest one. 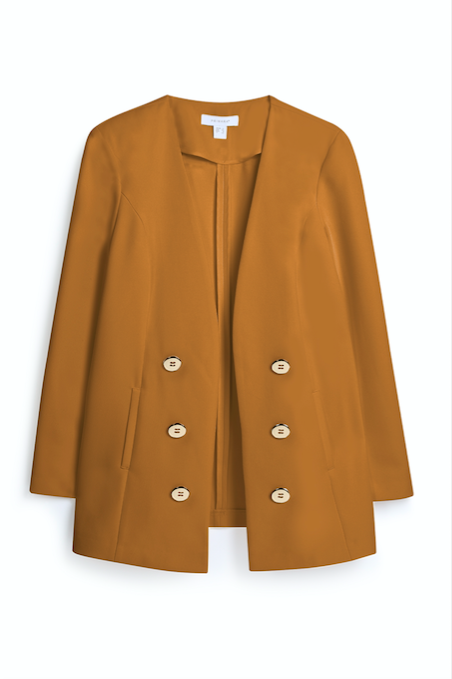 This beauty just dropped in Penneys and with the gold buttons and structured style, it's very similar to the designer version. Having had a quick look online, I noticed that the Balmain style pictured below is currently available online for the rather hefty price tag of €1,713. I mean, can you actually deal? You'd need to win the Lotto and even then we can think of a few other bits we'd buy. It's the Balmain Button-Embellished blazer if you want to have a look yourself but thankfully, the budget buy is only a fraction of this price. 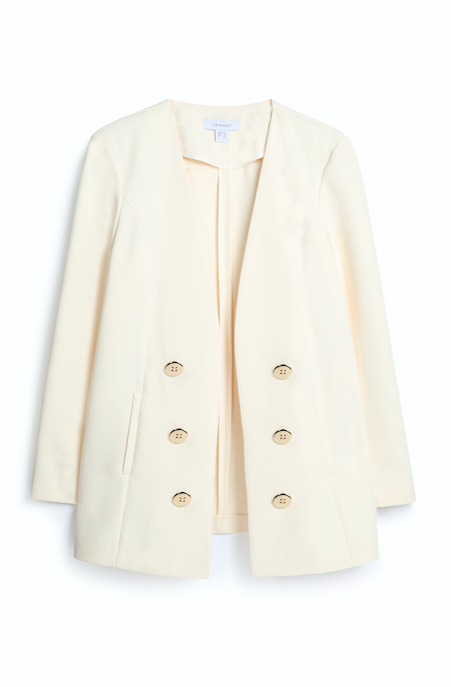 The €23 Penneys blazer comes in two colours, a cream shade and a gorgeous tan colour so you're spoilt for choice really. Of course, there are differences between the two, most strikingly the price, but at first glance, it's a seriously good dupe and that's what we're all about. The cut, tailoring, detail and quality of the Balmain piece is second to none but you know what for €23, we're totally obsessed with the Penneys buy.